Let’s face it: career management doesn’t sound exciting or even particularly attractive. But, then, neither does career disaster! Disaster in general is one of those topics most people would rather not think about. After all, a disaster is what only happens to other folks, isn’t it? You’ve probably heard a lot in the news lately about the ugly revelations coming from Hollywood. One recent story noted that yet another long-established career had basically gone bust because of it, with the indication that more could follow. Did the perpetrators of the disreputable conduct not realize they could face repercussions down the road? Maybe they just figured if they tried hard to keep it quiet, it would stay hidden forever. That’s one version of “seat-of-the-pants” career management–although clearly an extreme example. Now think in terms of your career (in most cases, you wouldn’t have such an extreme challenge as Hollywood’s). It’s critical to take full ownership of the situation, Failure to make a conscious effort to manage your career in a consistently positive manner comes with a potentially severe cost. 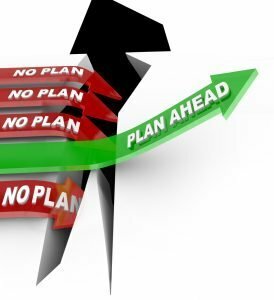 Career Disaster: Prevention or Recovery? Not all disasters can be prevented. That’s a given. If lightning strikes a tinder-dry forest and ignites a blaze that destroys thousands of homes, including yours, you can’t do much, if anything, to stop that from happening. All you can do is try to stay safe during the disaster and assess the recovery situation afterwards. By the same token, if your company’s new product hits an unsuspected quality issue that requires a massive recall, heads might roll. Even if yours isn’t immediately at risk, you might not be completely sure of keeping your job. You need to do a rapid assessment of the danger to your career, as well as to your current job, so you can identify possible options for next steps to take. Create and implement a short- and long-term career management plan that covers any potential obstacles you’re aware of. Include a checklist as a reminder, if that works for you, and build in a periodic review to help make sure you stay on the “safe” side of career disaster. Evaluate actions you’re considering based not only on their probability of success, but also on ethical and legal implications. If you’re not an expert in those areas, consult with someone who is before you take an irrevocable step. Build a strong professional network that includes both peers and senior executives whose judgment you can trust. These should be people who will tell you what they think, even if it’s not exactly what you were hoping to hear. Whenever you have a choice, pick career disaster prevention over recovery. It’s much less stressful and much more likely to help you ensure long-range career success!